Public Bulletin No membership required, no charge to use the park - everyone is welcome! Areas Served Lunenburg (town) ; South Shore Region ; All visitors to the South Shore are also welcome! 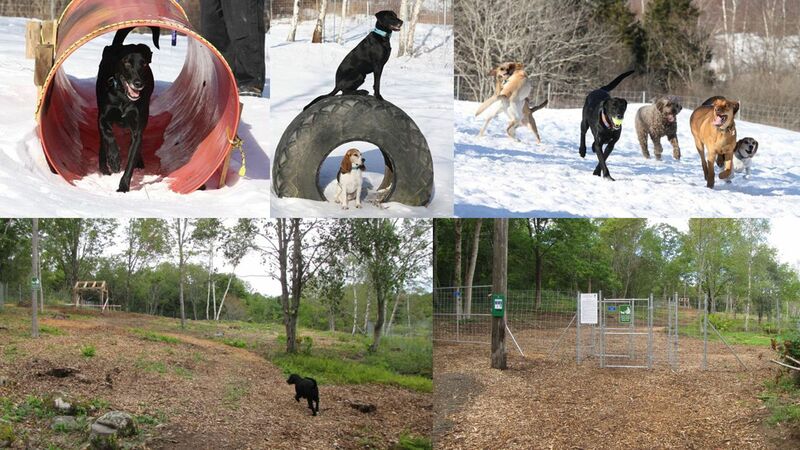 The Lunenburg Dog Park Society, Community Volunteers, and local Businesses, have worked very hard to make this Park a safe and happy place for all 4-legged companions to enjoy! The Park offers free poop bags, a double-gated entry to safely leash/unleash your dog, a lovely custom built covered shelter, and free and spacious parking. Coming in late spring of 2015...the new 'separate' small dog/elder dog section, and a water fountain! !